Bidders were queuing at the door to begin viewing our second model railway auction of the year. It was no wonder as there were plenty of lots to suit every collector's taste with over 400 lots for bidders to choose from. We began with the O gauge section where this lovely modern ACE Trains LNER 2505 ‘Cameronian’ A3 Pacific Class 4-6-2 locomotive and tender realised £554. 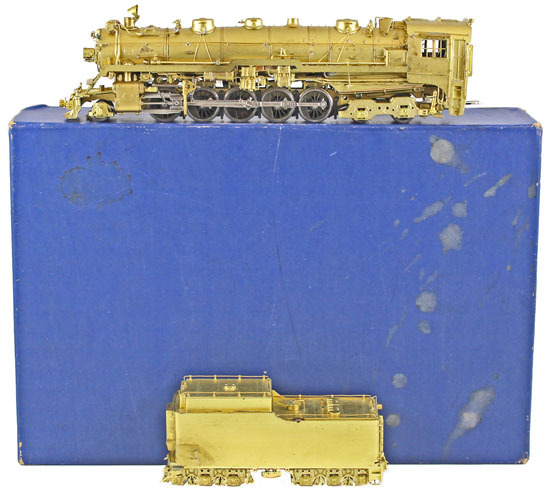 In the OO gauge section we offered an extensive range of brass American pattern locomotives which proved particularly popular with buyers. This Overland Models factory-painted Sante Fe silver 47C, 47A, 47B, 47C EMD F7 A-B-B-A set, no 47L, thought to be one of only 250 sets produced, sold for £483. And this VH Models unpainted, Canadian Pacific Railways Selkirk T-1a Class 2-10-4 locomotive and 12 wheel tender achieved £236. 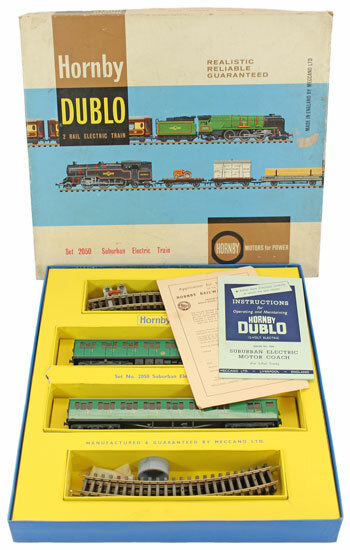 Hornby Dublo highlights included this BR 34042 ‘Dorchester’ no. 3235, which realised £236. This Class 501 Suburban EMU BR S.65326 no. 3250 sold for £271. £212 was the realisation for this unusual Suburban Electric 2-rail Train Set no. 2050, containing electric motor coach no. S65326, brake/2nd coach no. S.77511, track and instructions. There was an exceptional Wrenn section in this auction. Highlights included this BR 46159 ‘The Royal Air Force’ no. W2288 locomotive and tender, which realised £365. This LMS 6244 ‘King George VI’ no. W2302 locomotive and tender sold for £424. And this BR 34065 ‘Hurricane’ no. W2275-5P locomotive and tender achieved £283. Our next model railway auction will be held on Wednesday 18th May 2016. The full catalogue for this sale will be on our website in early May. Keep an eye on our Twitter and Facebook pages which will include updates and our latest auction news. Are you thinking of selling your model railway collection or perhaps part of it? Would you like us to value your collection of model railways and give you advice on how best to market it? Visit our selling model railway page for more information or call us on 01926 499 031 and ask to speak to one of our experts.